WordPress Will Usher in the Era of “Happy Publishing” in 2019 | SPARKS! 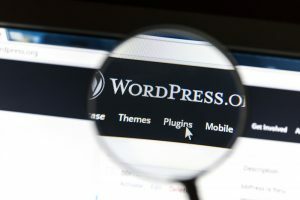 It’s been many years since WordPress was simply a site used for blogging, and in 2019 the software language of the company will finally reflect that reality. With the introduction of WordPress 5.1, the word “publishing” will replace any mention of blogging throughout the platform. The language will be updated in wp-config-sample.php this year. So long, “happy blogging”. Hello, “happy publishing”! WordPress is a popular and heavily relied upon open-source content management system due in part to its versatility and ability to serve multiple functions. Although it can still be used for something as simple as publishing blog content, it also allows users to perform functions like set up an affiliate shop, create real estate listings, and fundraise. Even better, these functions are accessible to people regardless of whether or not they know how to code because of the software’s user-friendly setup. That’s not all that WordPress has in store for 2019, though. WordPress core contributor Matt Mullenweg laid out the platform’s priorities for the new year. Allowing users to opt-in to automatic plugin and theme updates, upgrading the widgets-editing areas, creating a block for navigation menus, and making it possible for themes to visually register content areas are all upgrades that WordPress expects to make within the next 12 months. By changing the website’s language, WordPress is simply making clear what was already true a long time ago. There’s no shortage of functions that the platform can be used for, and its capabilities expand so far beyond simply blogging. Without WordPress, 32% of the web would cease to exist, and as its uses continue to grow and expand, so does the vernacular we use to talk about them.